Plywood is an inexpensive lumber option for building just about anything. If you have a DIY wood project planned, then you probably have considered using plywood. Problem is, traditionally its been thought of as kinda… well, ugly. Boring. Cheap. Well we have some news for you… not anymore. In fact, plywood is even being used in high end modern homes for paneling and cabinets! 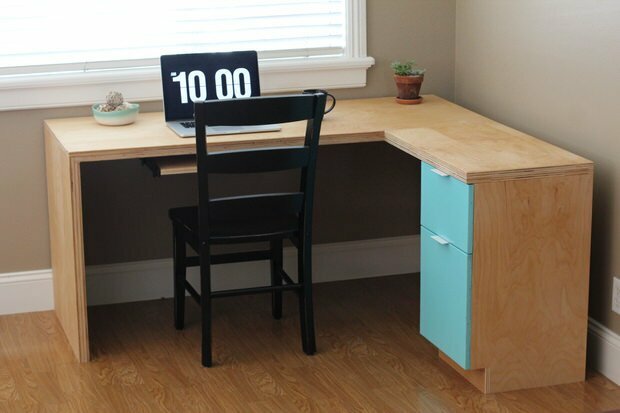 So let’s revisit the idea of using it as a way to save money while making an awesome DIY- Plywood projects with pizazz! 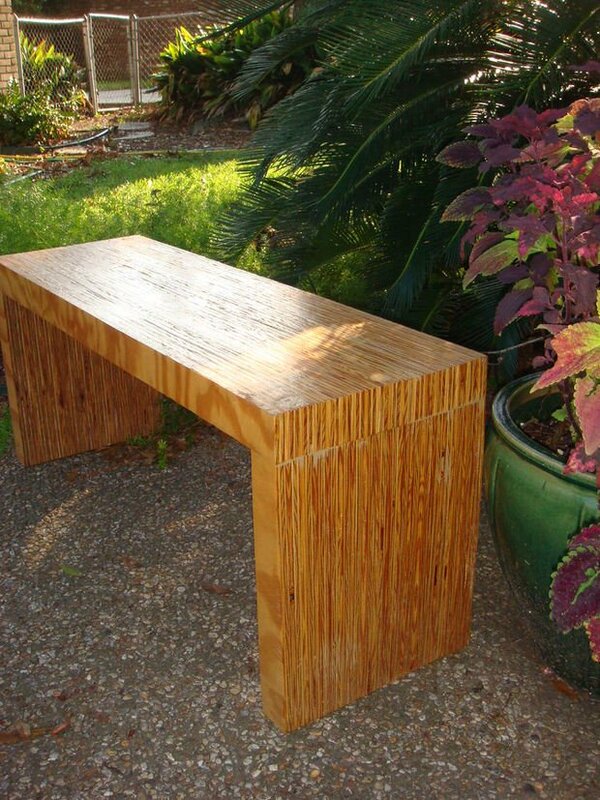 This plywood project is an outdoor bench made from one 4×8 sheet of wood, from ‘Instructables‘. This looks like a high end modern furniture piece, that seems like it was made with some exotic wood! Seriously? One sheet of plywood can make this? 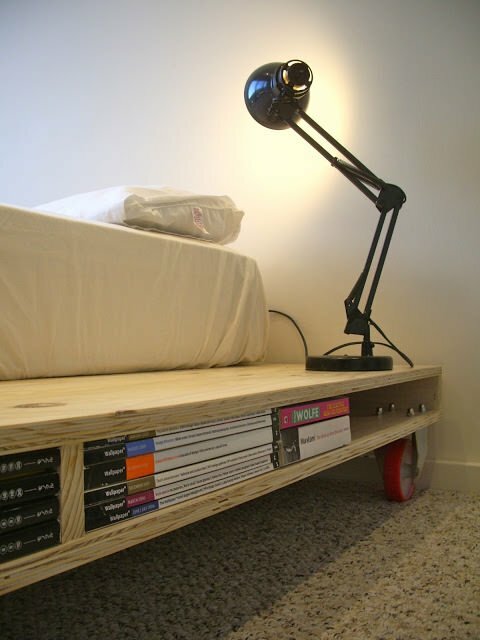 From ‘Gonzalez Design Studio‘, this DIY plywood bed frame has plenty of photos for an experienced DIY’er to take inspiration from, but unfortunately no written tutorial. But because of the extra storage, what a perfect piece for a small home! This L- shaped modern desk was done by a reader of ‘Ana White’. We believe it’s an adaptation from her free plan for this corner desktop. Our next DIY wood project is from ‘Hege in France‘. 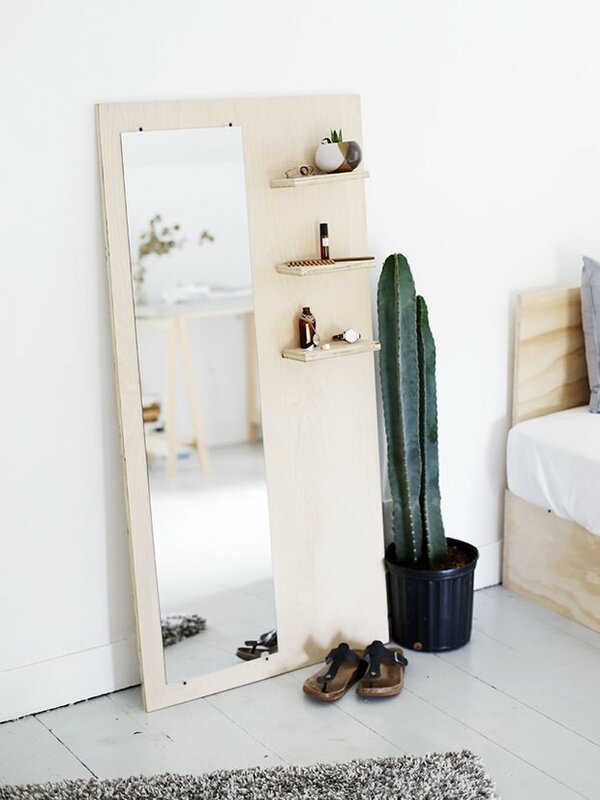 This DIY plywood project is a modern and fresh shelf, and it also makes for extra storage in any room. These DIY planked floors from ‘House Seven’ show just how amazing this building material can be! 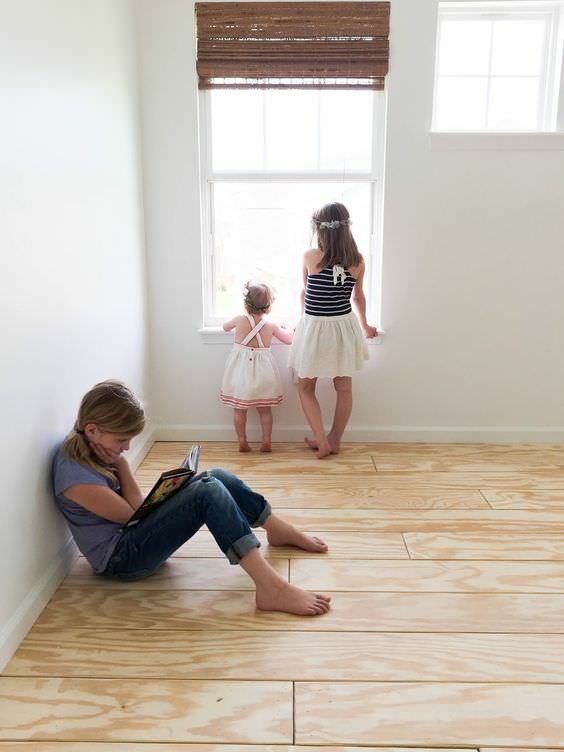 They took the tutorial at ‘Little Green Notebook‘ to make these floors, and they can be proud of these plywood projects! 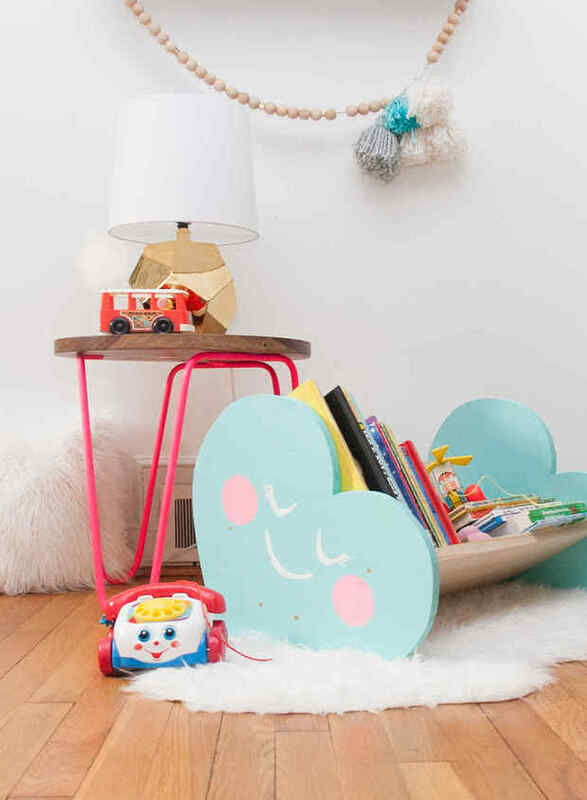 This adorable DIY book bin from ‘Lay Baby Lay’ is an easy build with a jigsaw, some plywood and some adorable painting skills. Ok, we love this. 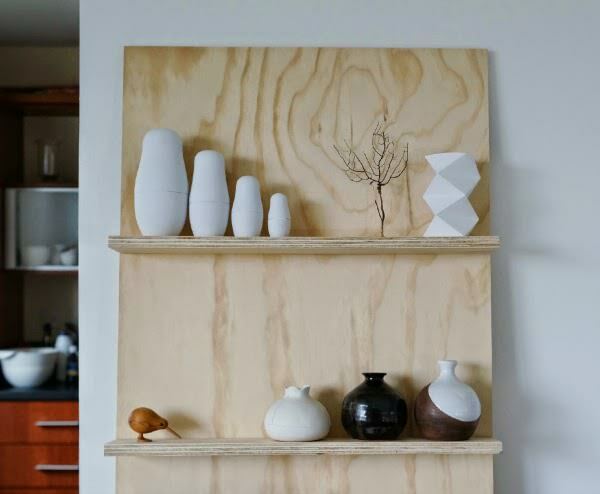 DIY organization blocks made out of plywood from ‘Home Tree Atlas’. The layered modern look and incredibly organized nature of this project just makes you want to have one in every room. Forget a junk drawer, and make one of these! Lovin’ this DIY plywood floor mirror from the show ‘Home Free‘ on Fox. Remember to buy a quality mirror piece, because cheap mirrors tend to be distorted. I promise, nothing looks good in a distorted mirror! Make a bench with built in storage with this plywood project tutorial and plans from ‘A Beautiful Mess’. 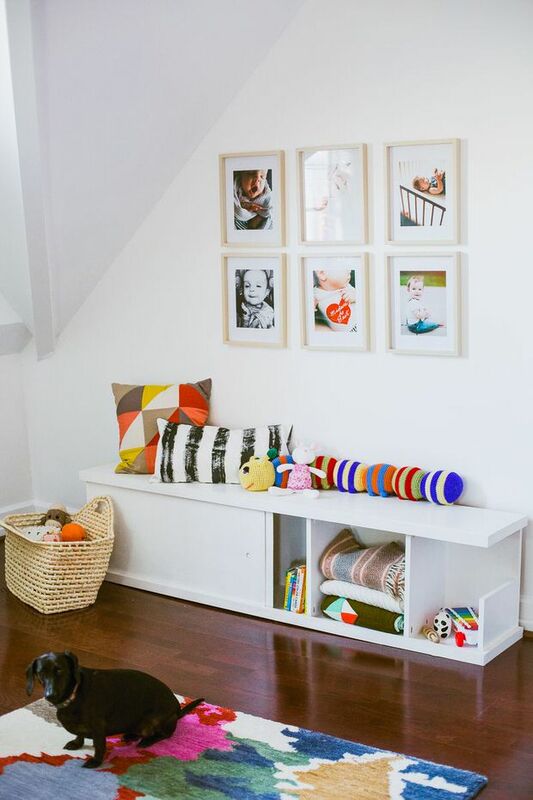 Great for a kids’ room, but how about an entry as well? 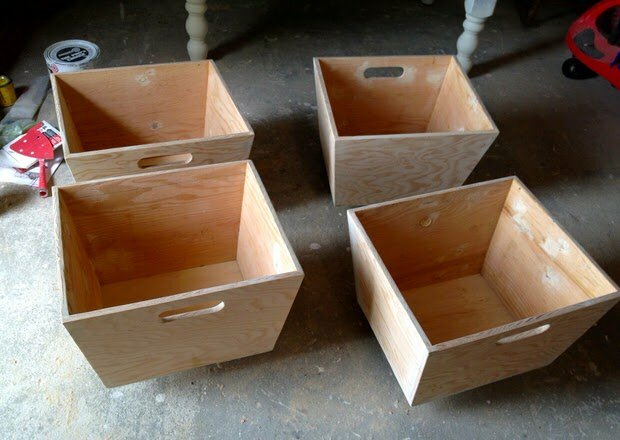 Lastly, Jaime from ‘That’s My Letter‘ made these DIY plywood mudroom bins. These are sturdy, personalized with initials and great for storing anything! If you were looking for ways and cheap DIY wood projects, we hope you found it in our post on DIY Plywood Projects! We think you will also want to visit our posts on DIY Built Ins and Hide the Ugly: Indoor Eyesores! Where do you suggest buying a quality full length mirror? I’ve always had cheap distorted ones. Ikea has some pretty good quality ones for good prices!